Did you miss TALES FROM BEYOND THE PALE Live from The Stanley Film Festival? Well what better day to listen to it than on Halloween! 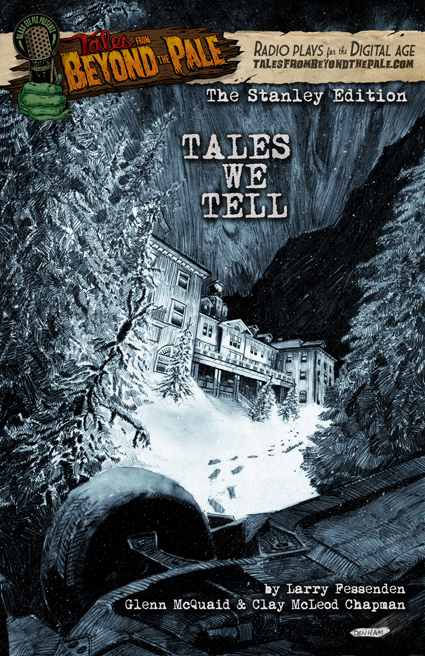 Written by Fessenden, McQuaid, and Chapman, these tales of terror are inspired by Colorado’s Stanley Hotel and its surroundings, which also served as the muse for Stephen King’s THE SHINING. Featuring the voice talents of Fessenden, Martin Starr, AJ Bowen, Ana Asensio, Jocelyn DeBoer, Martha Harmon Pardee and Sam Zimmerman.